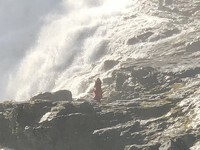 We chose this trip due to the Norwegian itinerary and the 7 day trip fit into our work schedule. 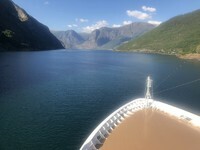 We have cruised large ships and small, including very small ships of under 100 passengers and many of the larger lines with mega ships so we have a good basis of comparison. 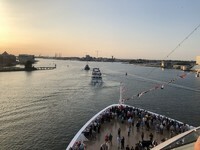 This was our first trip with Viking and the entire experience from embarkation to debarkation and everything in between was flawless. 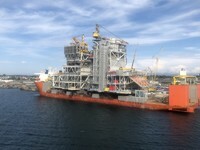 The ship is considered &apos;small&apos; at 900 passengers. The boarding process was the fastest ever, and we have taken over 30 cruises! The ship itself is well designed, nicely furnished, but in that clean Scandinavian way. The staff was very friendly and efficiency abounded everywhere. The buffet area was well organized, and the food quite good. Despite having a nice main dining room, and two specialty restaurants, many guests enjoyed the themed dinners in the buffet without the need to change clothes from the days touring. The food came out of the open kitchen with service from two sides, and they were happy to cook to order if requested. 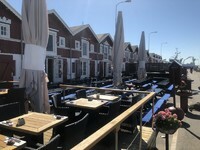 The Italian restaurant was excellent as well, with service to match. 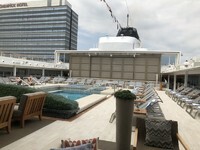 The ships tours, many of which are included in the cruise fare were well organized and very good. 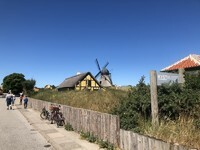 We did some optional tours including the food tour in Oslo and bike riding down from Flam (actually Myrdal) after the train trip up. The guides were all excellent and again every aspect was well organized. 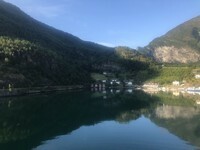 This was great itinerary to get a feel for the Norwegian fjords, culture and people. Wish we had more time for a longer trip though! Our penthouse veranda was very comfortable, and well laid out. We even enjoyed the guest lecturers, one was an English journalist who was quite interesting and entertaining. We did not see the production shows though. Biked down from a train stop on the way down from Myrdahl. Good thing the bikes has disc brakes!! Awesome scenery and great ride. 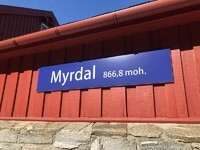 Took the train tour from Flam to Myrdahl, great scenery. Then back down part of the way where we got off the train on onto waiting bikes for the guided ride pretty much all down hill! 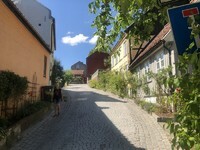 The city tour was by bus, then we went out to Lillesand a small seaport village and then onto our boat trip. 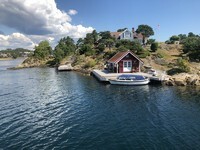 We cruised through many small islands with summer cottages, very nice areas! Great guide took us outside the main part of the city to a food hall, the beer museum and other parts of the city we never would have found on our own. A lot of walking! Took a nice walking tour included with our trip, very nice little seaport town. 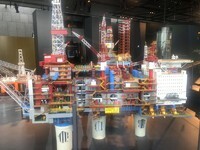 Did the ships walking tour, the oil museum was quite interesting seeing how the oil rigs work and the hazards involved.